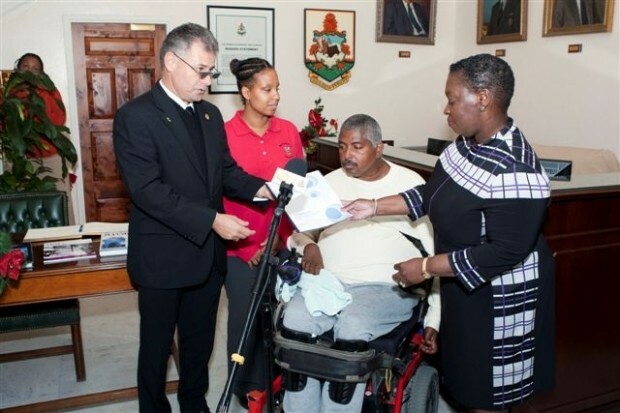 Premier Paula Cox received a paper on accessibility for the disabled in Bermuda yesterday (Dec.15) morning from Minister of Health Zane DeSilva. The paper, entitled “Through My Eyes”, was written by young Bermudian, Kristina Bean, who is legally blind, and explores the issue of accessibility in the City of Hamilton for those with disabilities, using Toronto, Canada as a comparison city, and is based on Ms Bean’s personal experience. At the paper presentation at Cabinet today the Premier said: “I applaud Ms Bean for endeavoring to create this paper and am pleased to receive it on behalf of the Government of Bermuda. Earlier today Ms Bean had discussed her paper with Minister DeSilva, who says it has made him more aware of the need to improve accessibility for those with disabilities. Minister De Silva said: “It has been a pleasure to meet with such a bright young lady today and see her becoming actively involved in impacting Bermuda’s future in terms of accessibility. 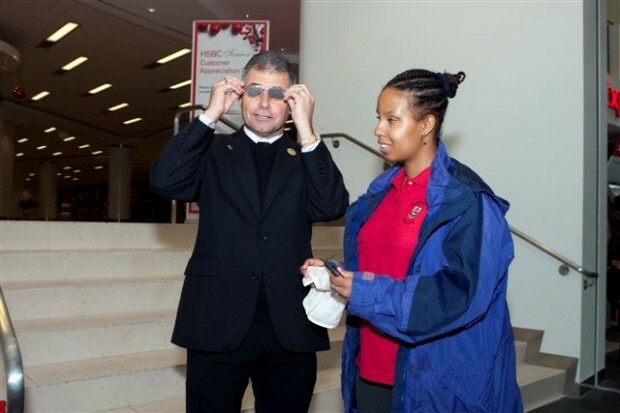 In a bid to experience what Hamilton is like for a visually impaired individual, Minister De Silva donned two pairs of specially-made glasses prior to the presentation of the paper – one which gave him tunnel vision and the other which gave him peripheral vision. 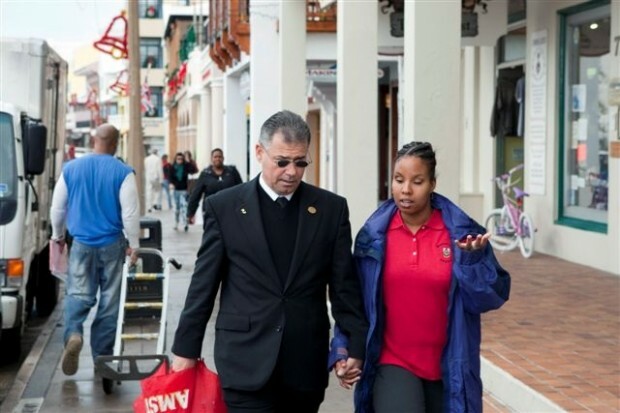 Ms Bean led the Minister around Hamilton and to various locations, including key spots that present challenges for persons with visual impairments so he could experience these difficulties firsthand. The walking route terminated at Cabinet at which point the Premier received the paper and met with Ms Bean to briefly discuss her findings. Ms Bean, who works as an accessibility officer at the National Office for Seniors & the Physically Challenged said: “Bermuda has come a long way in terms of making our country more accessible especially in The City of Hamilton. There are better sidewalks, automated elevators, and beeping street lights. However we still have some ways to go.